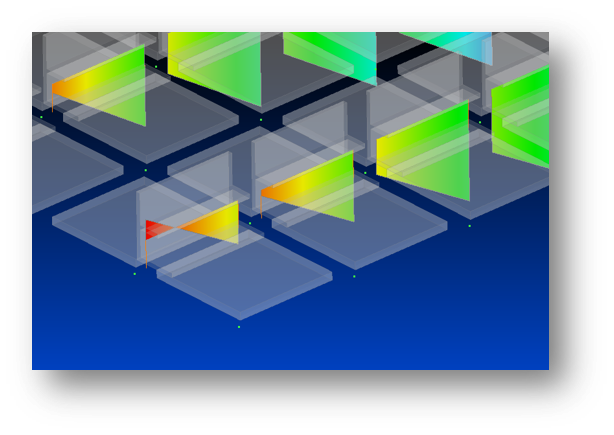 Femap provides powerful visualization and data editing tools to make sense of results from your solver.  The postprocessing toolbox, beam visualization, the data table, and freebody diagrams are just a few of the tools that will help you find and analyze the data you are interested in. Keep reading to learn more about all the postprocessing tools that Femap has to offer. 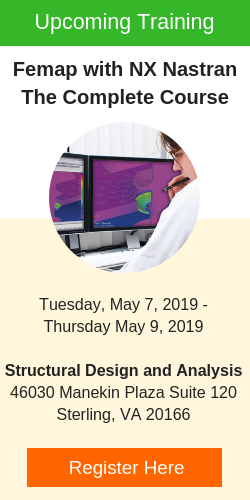 Typically a lot of results data can be generated by the analysis, and the ability to investigate all of this data efficiently and present it concisely is one of Femap’s strengths. 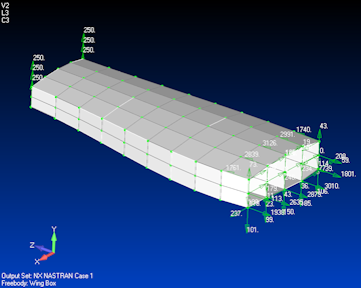 Postprocessing tools include the ability to animate displacement plots, and view results inside a solid model with the Dynamic Cutting Plane and the Dynamic Isosurface. 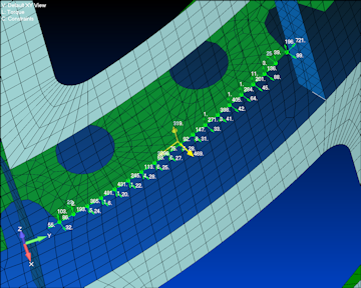 Contour results can be plotted on shell elements as if they were 3D elements – showing plate thicknesses with a linear stress interpolation through the thickness. The Postprocessing Toolbox consolidates access to the most used or popular viewing options, in Femap, into a single pane. 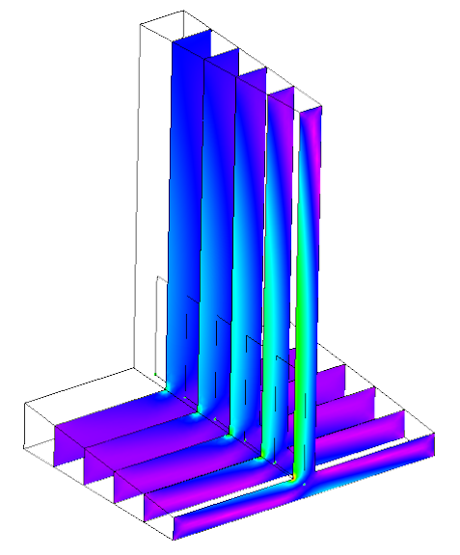 FEMAP can show detailed beam cross section contour plots of stress distributions and shear flows to reveal the full beam behavior in an analysis. 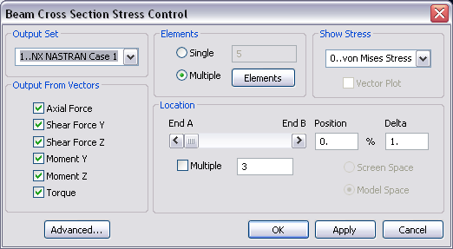 Full control of the forces used to calculate the stress distribution is available, and other stress types, such as von Mises, can be calculated. 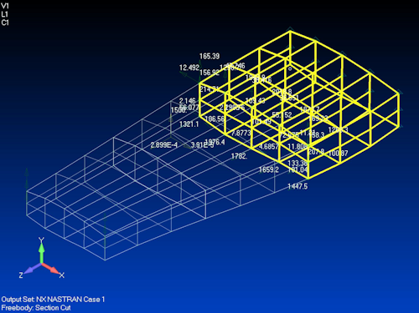 Other forms of beam results viewing that are supported include visualization of beam diagrams (bending moment and shear force) for beam type structures. Further calculation or extrapolation of the solver data is sometimes necessary to obtain the desired information. 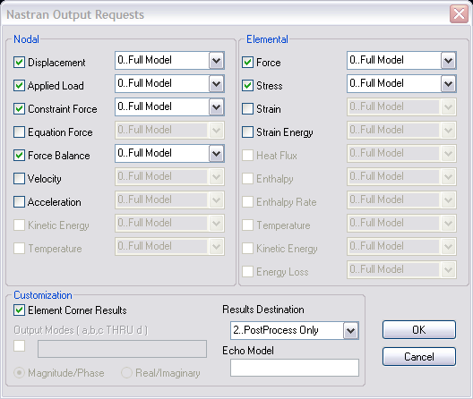 Femap has powerful data manipulation tools that can help with results studies organization. Grid point force data recovery, that is calculated by the solver, provides some very useful output that helps to determine load paths through the structure. 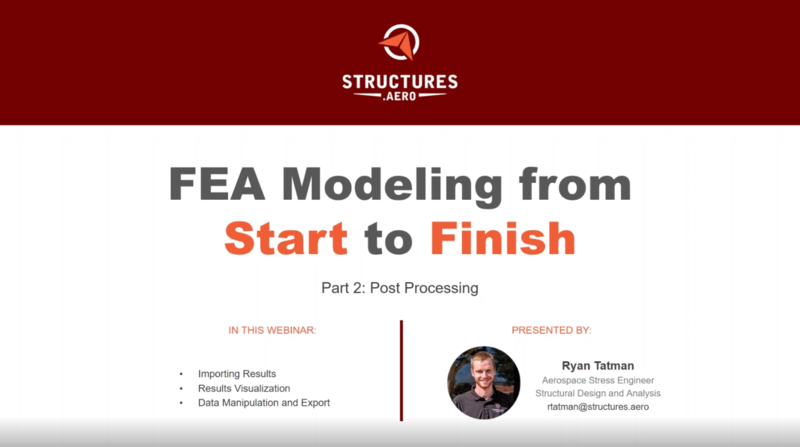 Femap provides some capabilities that work with this data to provide free body diagrams for parts and components, balancing loads at section cuts in the model, and showing interface loads between components. 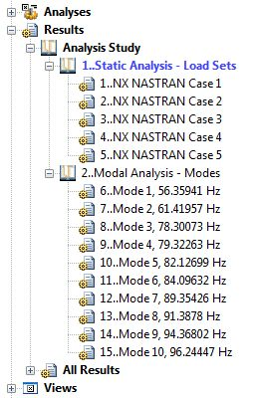 Output sets can be organized into Analysis Studies to help order the output data into more understandable groups. The studies can be created automatically when importing or attaching results data, or manually from existing data. Organizing the output data in this way makes to easier to find, delete or operate on a collection of output sets from analysis runs. 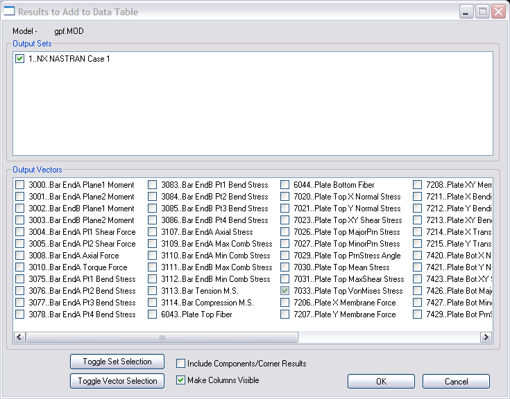 For example, you can group output sets from statics, modes and time steps from a transient analysis into separate analysis studies and operate on them individually. 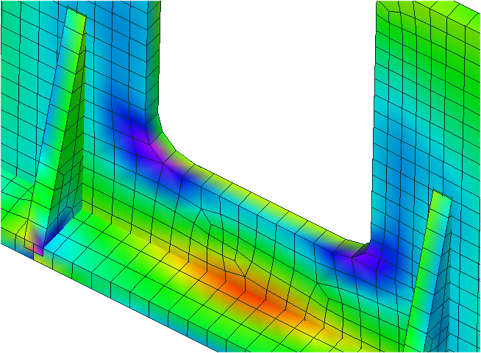 To quickly gain an understanding of the worst cases in a set of load cases, Femap provides a Results Enveloping capability. You can create a single stress contour which shows element by element the worst stress state in a given set of load cases. You can also generate a criteria plot showing the load set number of the worst stress for each element. Tools like these that can manipulate output data and present the critical information help to speed up simulation postprocessing. 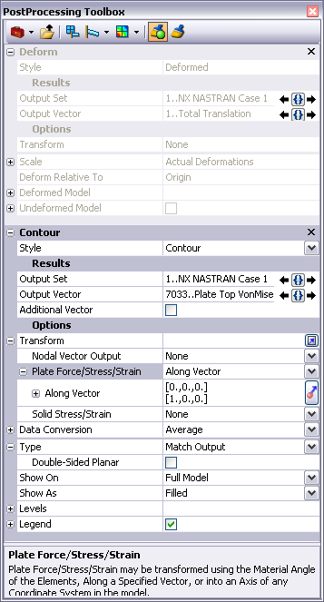 Another method of manipulating output data in Femap is the Data Table. You can unlock the Data Table and send either modeling or results data to it. The Data Table allows you to sort, filter and evaluate data that it contains. You can use it to rank results or compare data from different output sets or models. You can also copy the data to the clipboard and transfer it to third party programs like Microsoft Word and Excel.